I was the Personal Secretary of the Quaid-e-Azam, Mohammad Ali Jinnah, from June 1944 to August 1947. Then I became the Personal Secretary of the Quaid-e-Azam in his official capacity as the Governor-General of Pakistan from 14th August 1947 till his death on the 11th September 1948. I took over as President of Azad Kashmir on the May 1, 1959 and I resigned on the 5th August 1964. 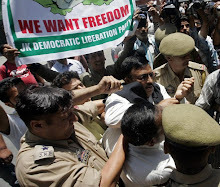 My political party is known as the Jammu and Kashmir Liberation League. It was formed in 1962 and I hold office as the President of this party . In early 1971 when the Indian plane was hijacked to Lahore airport, I was in Lahore and had the occasion to meet the hijacker Hashim Qureshi. On receiving a telephonic information on February 2, 1971 at about 7 P.M. that situation was tense at Lahore airport, I drove to the airport and was told that P.I.A had discontinued the food supplies to the hijackers on some technical ground. Sardar Abdul Vakil Khan, the S.S.P. of Lahore airport took me and Maqbul Bhat to the room where Hashim was sitting next to a table .Hashim told Maqbul Bhat that these officers had asked him to burn the plane. Maqbul Bhat suggested that burning the plane would not serve any purpose and instead it should be slightly damaged, glasses and windows may be broken. He thought this would get some publicity. "Khuda ke lie hamari jan chhorh do jahaz ko urha do" (for God's sake spare our lives and destroy the plane). As we left, Hashim was taken away by the police officers whom I did not know. Sardar Aabdul Vakil Khan and Baqar Ali Shah both went with Hashim and we came to join the crowds awaiting there. As we did so somebody said that the plane had been set on fire. I knew Abdul Mannan since 1944 in Jammu as the columnist for the weekly Javed edited by one Hayat Saghir. This paper was the chief exponent of the Pakistan ideology in Jammu & Kashmir State at thata time. I met Abdul Qayyum Khan in Karachi in 1958 for the first time. I knew Maqbul Bhat in Peshawar and they were of the ideology of the right of self-determination for the people of Jammu and Kashmir. But there were differences between NLL and Plebiscite Front. We believed that Azad Kashmir Government should be treated as a Revolutionary Provisional Government of AK and should be given a freehand in the conducting of freedom movements and doing all things for the purpose of the achievement of freedom. NLF believed in not waiting for recognition of the freedom movement. It could go ahead with what it wanted to do including armed struggle. Three years ago I came to know thata the militant branch by the name of National Liberation Front had been set up. Ghulam Nabi Gilkar was one of the candidates at the elections in AK and his political programme was that Kashmir should be an independent sovereign state. During my tenure as President, Azad Kashmir, certain elements were carrying out the propaganda in favour of and independent Kashmir.. There is no law in AK which would make any person liable to penal action for propagating the idea of a sovereign independent State.. However when Sheikh Abdullah visited AK in 1964, an officer of Government of Pakistan suggested that some individuals who were carrying on propaganda for an independent Kashmir should be arrested. Sheikh Abdullah was accompanied by nearly forty foreign and Indian correspondents. I thought arresting some persons would create tension. The idea of arresting some people was dropped by the Government of Pakistan. 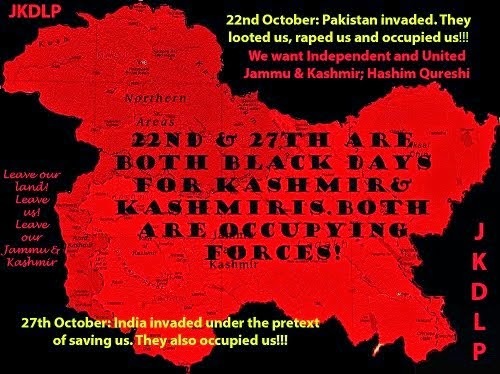 My views on Kashmir may be identical to the views of Mrs. Indira Gandhi but the difference is that Kashmir is integral part of India whereas our party says that it should be decided by the free will of the Kashmiris. I cannot recall any instance of subversion by G.M. Lone who was a member of the State Council and sat in opposition. Various attempts were made for bringing all the Kashmir parties together, and in that the Plebiscite Front members were included. G.M. 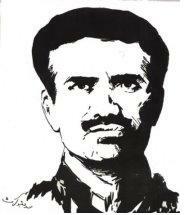 Lone, the accused, was fairly active so that a United Front of all the Kashmir parties be created. The last communication from Sheikh Abdullah to me was in 1969 when he was holding J&K Peoples' Convention which certainly the Government of India did not like at all. I know Ghulam Mohiuddin Karra who originally belonged to National Conference but later on set up Kashmir Political Conference. Pandit Raghunath Vashnavi was its head and Ghulam Mohiuddin Karra was the General Secretary. 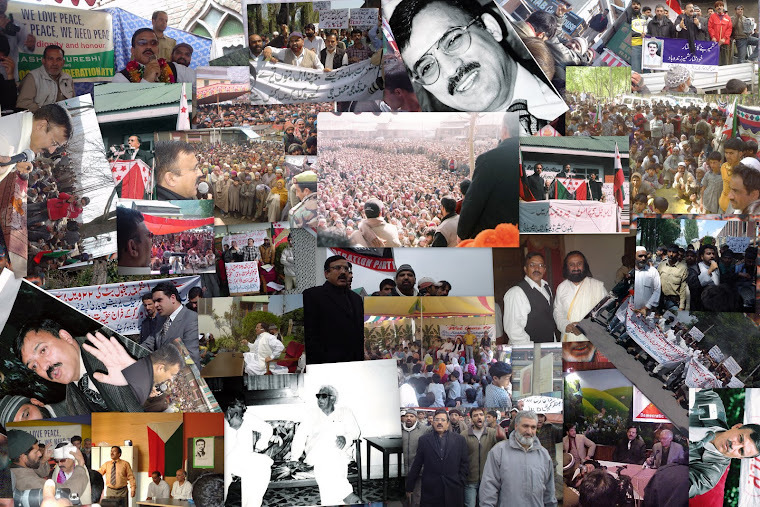 Political Conference openly worked for Kashmir's accession to Pakistan. From Sheikh Abdullah's communication about Peoples' Convention in 1969, I gathered that representatives from Indian Occupied Kashmir, Azad Kashmir and those in England would get together in a Convention and chalk out some line of action which would be in consonance with the principles of self-determination. When we talk of self-determination, it means no restrictions. It means that the people want to decide about their future in accordance with the UN Resolutions which restricted the choice of Indians. I think that the attitude of the Government of Pakistan towards Sheikh Mohammad Abdullah has been that the Sheikh is a sincere man, he should be respected, honoured and that he has followed a patriotic line and suffered for this cause, suffered for his objectives and they hold him in very high esteem. During the days when the period of hijacking of the Indian plane, my brother Javed who is a Major in Pakistan army was stationed at Lahore Airport. I think he was present when I went to the Lahore Airport although I did not see him there myself. On August 23, 1965, I was arrested from the house of Mir Waiz Muhammad Yusuf Shah. Actually I was bodily lifted from Asghar Mall, Rawalpindi and was put on a jeep and taken to Palandheri. I was kept in Palandheri and then taken to Muzaffarabad. Regarding my views about the future status of Kashmir State, I believe that the State will ultimately accede to Pakistan. It is not true that the accused Mir Abdul Qayyum, and Mir Abdul Manan were working for me during the previous election. In the first election in 1961, some of the accused had supported me, but in the last election they boycotted the elections and they had also criticised our stand. I remember that a weekly paper by the name of Press Kashmir was published from Muzaffarabad which was closed down after three or four issues; its editor was one Bukhari. This paper was not banned. It stopped publication because the Government press refused to publish it. In Azad Kashmir territory, there is no printing press except the one which is owned by the Government itself. The paper Press Kashmir was allowed to be printed from the Government Press, but since they were criticizing the Government policy, we advised them to stop its printing. As I have already said, Sardar Vakil Khan, S.S.P. Lahore told Hashim Qureshi in my presence to burn the hijacked plane. I did not report this matter to police because i, by my own experience can expect anything out of the officers of the Government of Pakistan. Therefore, I was not surprised at the suggestion , and I did not take any steps to report to anybody. I made two attempts explaining my views that the plane, the passengers and the members of the crew should be handed over to the Azad Kashmir Government. This was after the burning of the plane probably on February 3, 1971. I did not convey to anybody that Sardar Vakil Khan had, in my presence, told Hashim to burn the plane.